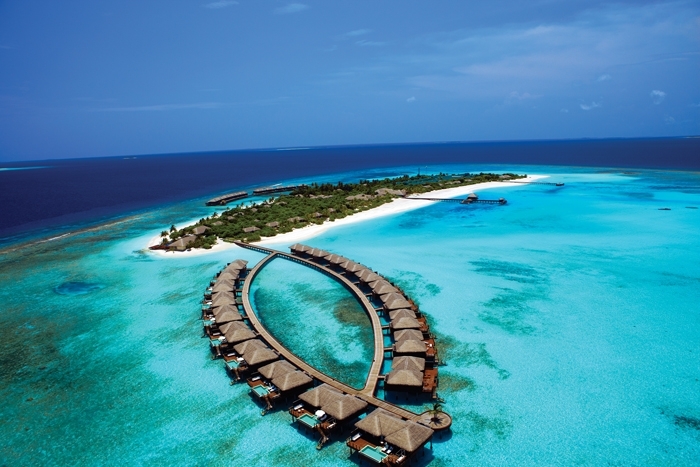 Property and hospitality group Roxy-Pacific Holdings has revealed plans for its newly acquired Maldives resort, Zitahli Kuda-Funafaru. The company yesterday finalised the purchase of the Noonu Atoll property from AAA Group, a deal for which JLL Hotels & Hospitality Group was the exclusive advisor. Roxy Pacific Managing Director Mr. Chris Teo confirmed that the resort will undergo extensive renovation of guest villas, public spaces and food & beverage (F&B) outlets before opening in the first quarter of 2017. Upon completion it will be the second property to be marketed under Roxy’s premium Noku brand. The first opened in Kyoto, Japan in November 2015. “This is a great outcome for both Roxy Pacific and the seller, AAA Group,” says Mr. Nihat Ercan, Executive Vice President, JLL Hotels & Hospitality Group, Asia. “The Maldives is a global gateway resort destination. Coupled with its robust trading environment and investor-friendly policies, the country is a highly attractive destination for investors from Asia Pacific, Middle East and beyond. The sale of Zitahli Kuda-Funafaru is the eighth resort transaction exclusively marketed and sold by JLL and underpins the depth of investment activity in the market. “On the back of this momentum, we are continuing to market resorts in the Maldives and Indian Ocean exclusively on behalf of owners,” adds Mr. Ercan. Zitahli Kuda-Funafaru Resort and Spa currently comprises 50 villas (30 over-water villas and 20 beach villas), four F&B outlets, a full-service spa, an ocean-front fresh water infinity pool, a state-of-the-art diving centre, a fitness centre with full-sized tennis court, and a luxury boutique. There were a record 1.23 million tourist arrivals in the Maldives in 2015 and in the first quarter of 2016, there has been a 4.3 percent increase in visitors compared to the same period last year. Visitors from China make up 29 percent of arrivals, making it the top tourism source market for the Maldives. The Indian Ocean archipelago continues to welcome a large number of visitors from Europe and between 2010 and 2015 the number of visitors from the Middle East more than tripled. Whether you are looking for a hotel or you’re ready to sell, we’ll use our capital markets expertise, hospitality industry knowledge and global relationships to put the right parties together and execute a bespoke deal that exceeds your objectives.